(CNN) As world leaders grapple with how to end the Syrian war, most people in the west are struggling to look beyond the bombs, destruction and refugee crisis to understand the tangle of alignments that is Syria. 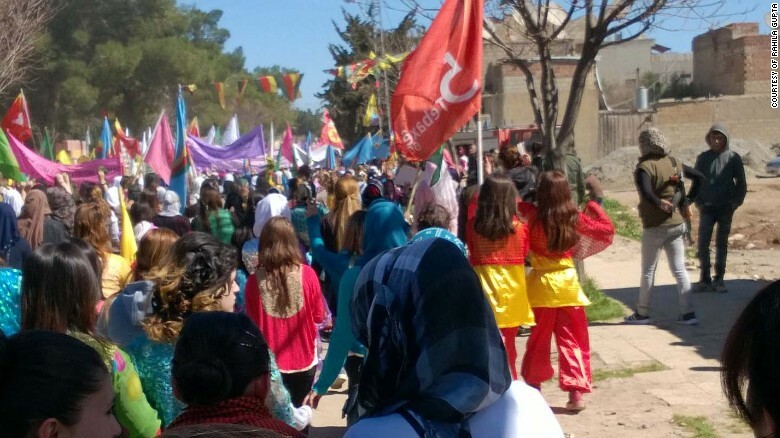 Rojava momentarily hit the world stage in early 2015 after Kurdish fighters — with American air cover –valiantly liberated the city of Kobani from ISIS’s grip after 112 days of fighting. For the U.S., the Kurds of Rojava are the only reliable, effective fighting force against ISIS on the ground. Boys at a martyrs’ funeral. 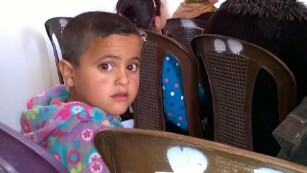 Strangers called out “Welcome to Rojava” enthusiastically, delighted that a foreigner had come to visit. 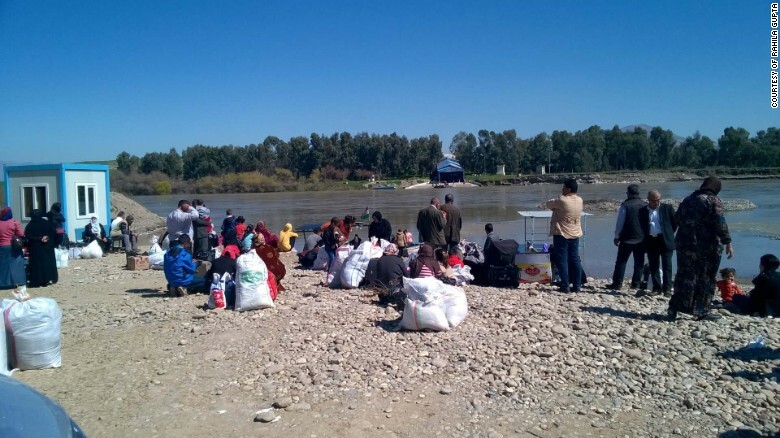 The border was marked by the Tigris River and there are refugees on both sides carrying vast amounts of luggage. 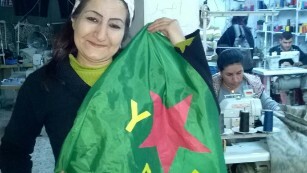 The YPJ flag belongs to the women’s defence units and was ‘modelled’ by a worker in a sewing collective. 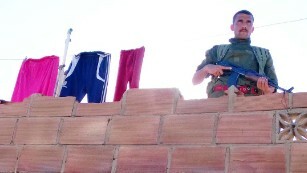 Life in the embattled community: A patrolling soldier stands next to a line of washing. On the border with Turkey. 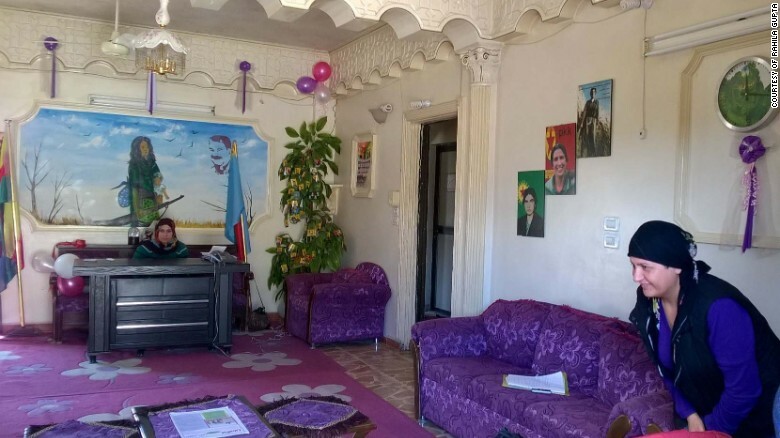 Ankara sees Rojava as a threat and an extension of PKK’s (Kurdistan Workers’ Party) political and military activity in south-eastern Turkey. 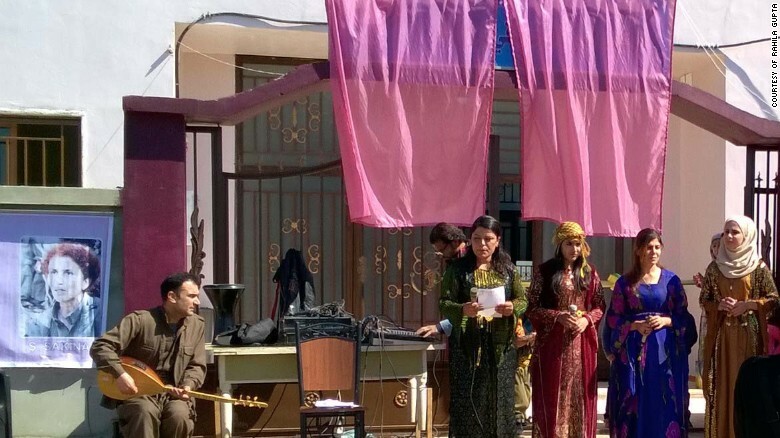 To the east, lies Iraqi Kurdistan, an independent state in all but name, which has important trade links with Turkey — and their president Massoud Barzani, with his brand of conservative, tribal politics, has hitched his wagon firmly to Turkey. This has meant that Iraqi Kurdistan, along with Turkey, has closed the border, imposed a trade embargo and is digging a trench to separate the two countries. 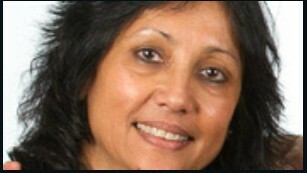 Rahila Gupta is a freelance journalist and writer. 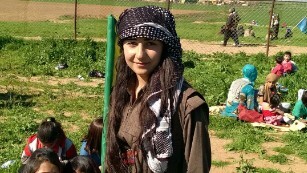 Her books include “Enslaved: The New British Slavery.”Gupta visited Rojava in northern Syria recently during research for a forthcoming book co-written with Beatrix Campbell, “Why Doesn’t Patriarchy Die?” Follow her on Twitter: @RahilaG. The opinions expressed in this commentary are solely hers.